The Girls Heart Books blog tour for Ride of Your Life begins! 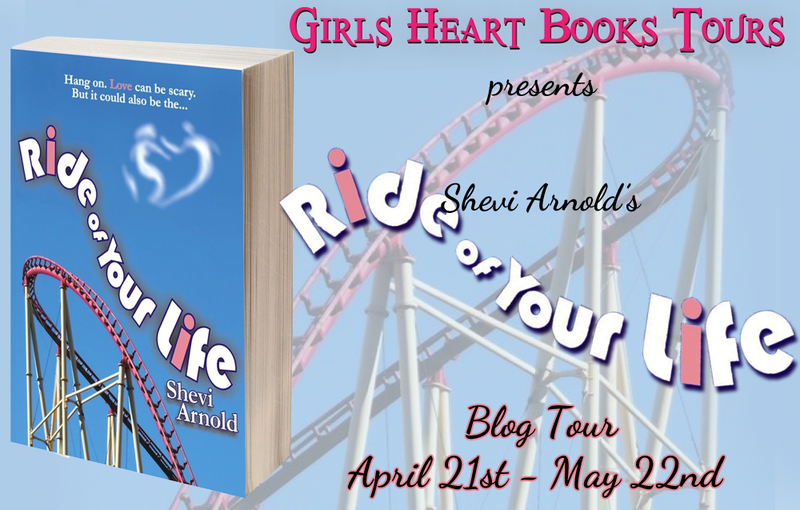 The Girls Heart Books blog tour for Ride of Your Life has begun! Even though it's not my most recent book, I decided to do a blog tour now in honor of the 30th anniversary of the Six Flags Great Adventure Haunted Castle Fire, which inspired the novel when I was still a teenager. The book tells the story of Tracy--a seventeen-year-old girl who died in the fire--and Josh--a seventeen-year-old boy who dies in an accident in the same theme park thirty years later. Ride of Your Life won third prize in SmartWriter's Write It Now contest in the YA category, which was judged by Alex Flinn, the author of Beastly, Cloaked, and more. I hope you'll check it out. This is my favorite Passover story, one about a real miracle that happened in my mother's family when she was just a girl. I hope you like it, too. My mother, Tova Hacohen, was twelve years old in 1948, the year of Israel's War of Independence. Before the British even left, Arabic forces surrounded the city of Jerusalem on all sides and laid siege to it. Brave Jewish men lost their lives attempting to bring truckloads of food from the Tel Aviv area to Jerusalem's residents. What little there was had to be rationed, and it wasn't even safe to venture out for the rationed food. Jewish men had to walk with their backs pressed up against the walls of buildings so they would be harder for the snipers to spot, and sometimes fathers lost their lives while trying to bring home something for their hungry children to eat. Tova's family--all eight of them, not counting her eldest brother Shmuel who was married and lived near Tel Aviv--got only one loaf of bread a day, a little bit of beans or peas, and a small amount of flour. Because they had small children, they got powdered milk too. “Drink, drink,” her Imma said. “I don’t want it, if you can’t have, too,” young Tova replied. But her Imma would not hear of it. She didn’t care if she didn’t have enough food. The only things that mattered were her children. They always came first. That year before Passover, the Ashkenazi rabbis permitted Ashkenazi Jews in Jerusalem to eat Kitniyot, like peas or beans, during the holiday. The rabbis didn’t want anyone to starve because they were trying to keep the Ashkenazi tradition for Passover, which forbids eating legumes. Tova’s family expected to eat only peas, matzo, and a little wine or grape juice over the holiday. It wasn't much, but at least they could try to celebrate the holiday. Then they got a surprise. Tova’s eldest brother, Shmuel, sent the family a gift. Shmuel was a member of the Hagannah, which would soon become the army of the new Jewish state. Shmuel found out who was going to attempt to bring food to Jerusalem, and he asked this brave man to help bring something special to his family. Miraculously, that truck made it through. Tova's family received handmade matzos, a few apples and nuts for making Charoset, and--wonders of wonders--a crate with over a hundred eggs! Eggs! It was something they hadn't had a chance to eat in a very, very long time. A few years before she died, my mother took her grandchildren to the house where she grew up, so they could see it and learn the stories of her childhood. The man she's talking to now lives in the neighborhood. They each know a part of the story, and they are filling each other in. Everyone looked forward to it. Family and guests crowded around the dining table on the night of the Seder. Tova's Abba, who was a rabbi, had invited a group of his students, and they were in high spirits. Shmuel’s brother-in-law, Ze’ev, who was also studying in Jerusalem, came too. There was talking, and learning, and singing. They drank wine and grape juice. They ate matzos, Charoset, eggs, and peas. It wasn’t much, but for them at that time it was a feast. And despite how little they had, the family was more than happy to share it with their guests. When the meal was over, Abba’s students sang the rest of the Haggadah. They wanted to do as the rabbis of old did: they wanted to make the Seder last until the sun came up. But there was shooting outside. “Imma!” Tova's sister Yehudit cried. And sing they did. And as their singing grew louder, so did the gunfire outside. And as the gunfire grew louder, so did their singing! Everyone froze. It sounded like a bullet had entered the room. Baby Rama had been sleeping soundly when Imma picked her up from her crib. Tova rushed after little sister Sarah to Savta Bat-Sheva’s room on the ground floor. Yehudit followed them. Tova's older brother Menachem went downstairs with the students. Imma carried baby Rama down with Savta Bat-Sheva at her side. Abba came last to make sure everyone was out of harm's way. The precious crate of eggs was already there. After all, these eggs were a great treasure for them at this time, and Savta Bat-Sheva's room was the safest room in the house. It wasn’t the first time Tova had heard shooting. But this time was different. It seemed to go on forever. And as time wore on, Tova grew tired. Soon she and her sisters were fast asleep. One at a time, the others joined them in slumber. In the middle of the night, however, she awoke to a strange sound. Over and over it went. The strange sound was coming from the corner where the crate of eggs sat. In the weak light, she saw her baby sister with a big pot. Little Rama’s hand came down with something in it on the edge of the pot. Crack. Then she put the thing in her hand in the pot. Plop. Rama laughed and clapped. Tova gasped when she realized what the sound was. Tova and Imma looked inside the pot. It was filled with eggs and eggshells. Imma checked the crate. Out of more than a hundred eggs, only eight whole eggs were left. After sunrise the family went back upstairs. Imma put Rama in her crib. There she found a surprise. There--very close to where Rama’s head always rested when she was asleep--was a bullet. “It’s the bullet we heard last night during the Seder,” Tova's older brother Pinchas said. The story of what happened quickly spread through the neighborhood. With it spread the invitation to join the family for a breakfast of scrambled eggs on Sunday morning. There was nothing to light a stove with, so that Sunday morning they made a bonfire. Neighbors brought wooden boards. Some also brought their rationed oil. Everyone brought plates and forks to eat with. They stood in line and waited to get a delicious, warm breakfast of scrambled eggs. Abba took a picture for the newspaper he edited. People thanked Tova's Imma, but she laughed and pointed at baby Rama. "Don't thank me. Thank the cook!" Here's wishing you and your family a safe, happy, and healthy Passover.